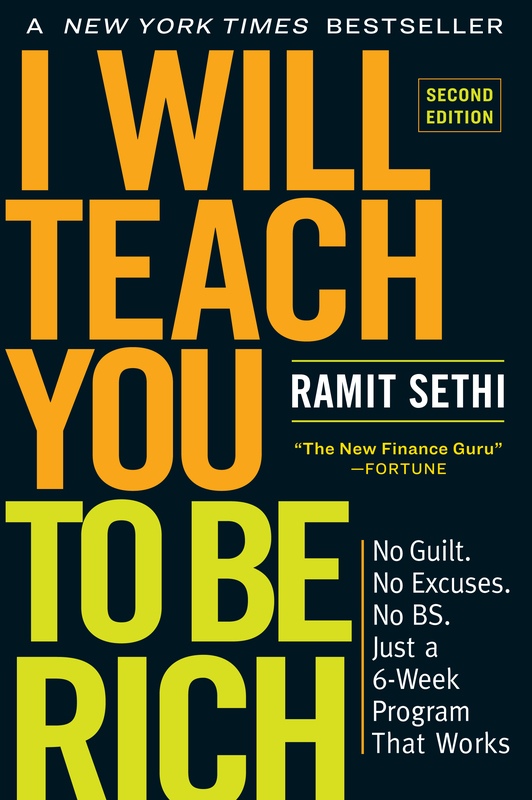 Ramit gives you the very best budget help with an automated system. This is the alternative to typical budgeting. This is a system that’ll last. (A) Don’t know how to start a budget. (B) Don’t know how much they’re spending each month. You can check out the rest of the responses here. Some common themes I see are fear, laziness, confusion, and even anger. If that sounds familiar to you, that’s okay! I want to be there to help. That’s why we’re going to break it down to the basics today: Budgeting 101. When people think budgeting, images of their parents studiously going over receipts, writing down expenses in a notebook, and screaming, “HOW DID WE SPEND SO MUCH ON GAS LAST WEEK?” come to mind. That might have worked for them … but it sure doesn’t work now. How many times have you opened your bills, winced, then shrugged and said, “I guess I spent that much”? How often do you feel guilty about buying something — but then do it anyway? This is unconscious spending (aka “spreadsheet budgeting”). The main issue with it is simple: Human willpower. Who wants to track their spending? The few people who actually try it find that their budgets completely fail after two days because tracking every penny is overwhelming. Instead, we’re going to gently create a new, simple way of spending. I’m going to help you redirect it to the places you choose, like investing, saving, and even spending more on the things you love (but less on the things you don’t). This is going to be the foundation of your Conscious Spending Plan. Let’s get on with the specifics of how you can make your own Conscious Spending Plan. I’m not going to lie to you: It’s difficult and requires a bit of time on your part. But I’ll try to make it as painless as possible. Take heart in the fact that this isn’t an overly complex system. All you need is to just get a simple version ready today and work to improve it over time. These are things you absolutely need to pay every month such as your rent, utilities, student loans, mortgages, and cell phone. It’s important you figure out this number first as this is money that’s going towards your essentials. Everything else you can change. This is fixed. Here’s a chart with some common expenses any ordinary person would use to live. If you see any glaring omissions, add them. Create your own version and fill in how much you spend on it each month. If there are any you haven’t accounted for, you’ll need to go through your bank statements and see how much you spent on those categories in the past. Remember: You don’t have to be incredibly precise here. As long as you get close, it’ll be good enough. Once you’ve done that, I want you to add 15% onto each amount. This helps you cover for things you haven’t figured in. Don’t worry if this seems like too much. As time goes on, your system will get more and more precise. When you have a total number for your fixed monthly costs, subtract it from your monthly take home pay. Now you know exactly how much you have to spend on other categories. Plan to spend around 50% – 60% of your income on this bucket. At a bare minimum, this category should cover your 401k and Roth IRA. If you don’t have those yet, check out my article on retirement accounts to get started — because they’re VERY important. Check out this simple graph on how much you stand to earn when you invest in a Roth IRA vs a taxable account. That’s a difference of $122,970! You’ll want to put away as much money as possible into these accounts. So plan to invest at least 5% of your income after taxes. Don’t know how much you should be investing? Check out this retirement calculator. It’s one of my favorites and can give you a great idea on how much you should be saving in order to retire. Short term. Think Christmas gifts, vacations, or that sweet new pair of Yeezys you’ve been eyeing. Midterm. These are things like a wedding you plan to have in a few years, or a down payment on a car. Long term. Very big purchases such as a down payment on a house, or your child’s college degree. One of my favorite ways to save is with sub-savings accounts. These are accounts you create to save for specific purchases or events. This is precisely how people accomplish financial goals passively. Because when you don’t see the money — when it’s automatically withdrawn from your checking account and funneled to specific savings goals — you will never miss it. However, a few months later, you’ll be amazed at how quickly you’re progressing to your targets. Be sure to check out my article on sub-savings accounts and the best savings account for more. Ahh this is my favorite part of the automated finances system. After putting your house in order, and allocating money for investing, saving, and fixed costs, you’re now ready to spend it on the things you love. This includes things like restaurants, bars, Uber/Lyft rides, movies, shopping, and weekend trips. This is going to be 20% – 30% of your take home pay. A little later, I’m going to show you exactly how you can spend money on all the things you love without worrying about it. But first, you need to learn how to set up your system. ACTION STEP: Set up your system in one weekend. Set aside a few hours this weekend. What you’re going to do is go to your bank’s website, and set it up so the money is automatically transferred to the above four buckets each month. This might also take a few phone calls so be ready. Make sure you have the numbers in front of you to streamline the process. If you need more information on how to do all this, be sure to check out my 12-minute video below, where I break down exactly how automated finances work. To make sure you’re really being conscious about your spending, you need to spend on the things you love — while ignoring everything else. That’s right: I’m telling you to SPEND money in an article about budgeting. To do that, I’m going to tell you the story of two friends of mine. At first glance, they couldn’t seem more different, but if you look closely you’ll see that they’re both spending on what they truly love and living a Rich Life because of it. On top of that she’s ruthless about cutting out the things she doesn’t care about. That means avoiding new tech gadgets, gym memberships, or eating out. She also lives in a tiny room in a small apartment because she doesn’t care about having a fancy place. And you don’t have to be making more than six figures to live a Rich Life. ACTION STEP: Be conscious about your spending. To help you with that, I suggest the Envelope System. This is a system of making sure you have money for things like going out and shopping each month. For more on the system, check out my article on how to save cash. The best way to ensure flexibility in your budget is to earn more money. Negotiate a raise. If you have a job, this is a no-brainer … but it takes a lot of planning and study. Be sure to check out my article on salary negotiations for more. Tap into hidden income. With a few 5-minute phone calls you can save yourself THOUSANDS every year. Find out how with this free PDF. Do freelance work. Starting a side hustle is one of my favorite ways to make money. Using the skills you already have, you can start fuel-injecting your income. Here’s how to find the best side hustle ideas today. I recently started using sub savings account and it has literally changed the way I spend money. It seems so simple and yet I had never thought of doing it before but I love see the $s go up next to a name like "House" haha! Also another thing that has helped streamline budgeting for me is my banks free money manager so I can categorize and see month over month what I'm spending in each category. That has helped too! Budget Plan is OK. But That budget will come back safely.